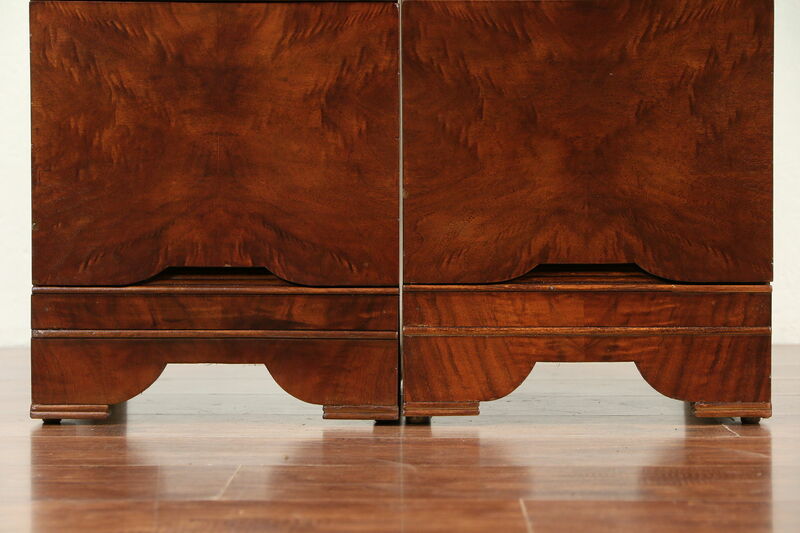 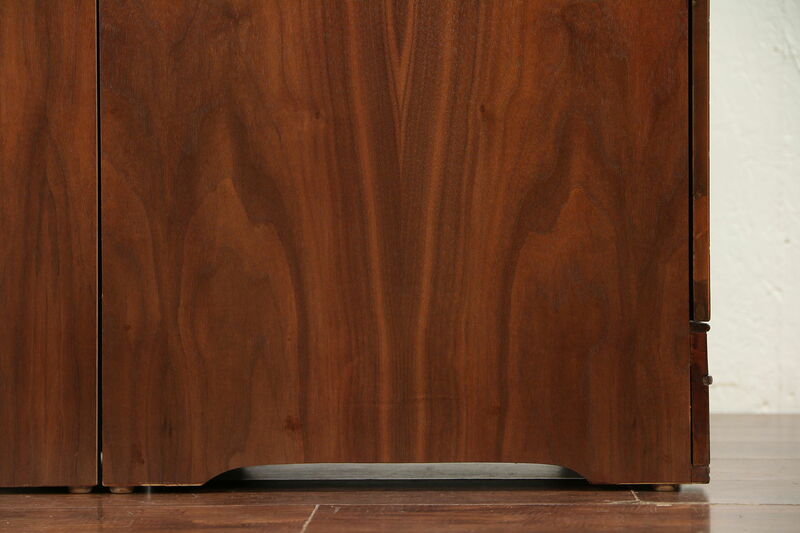 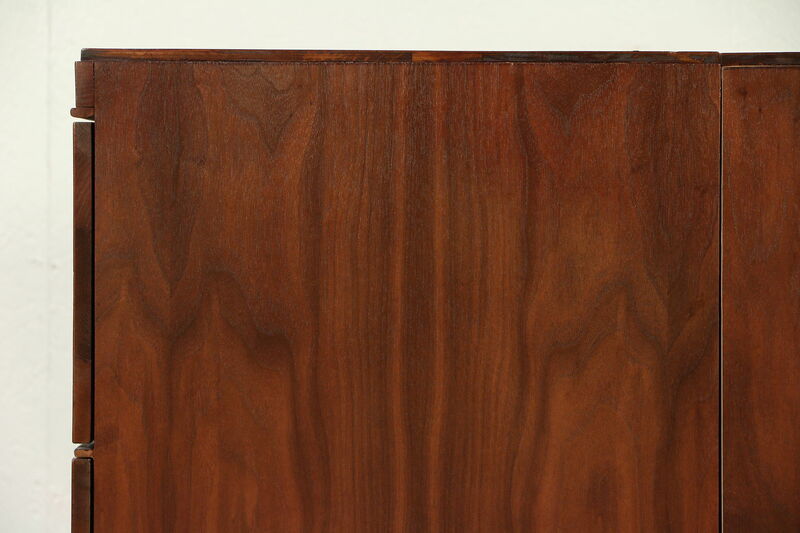 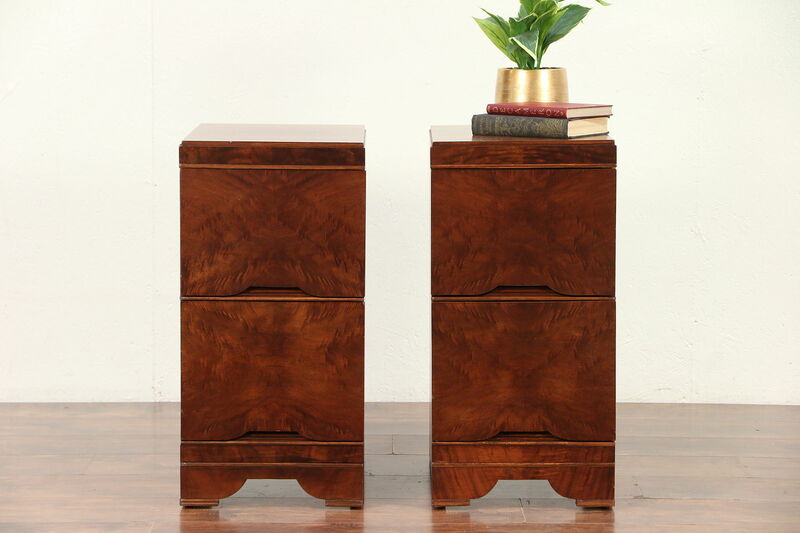 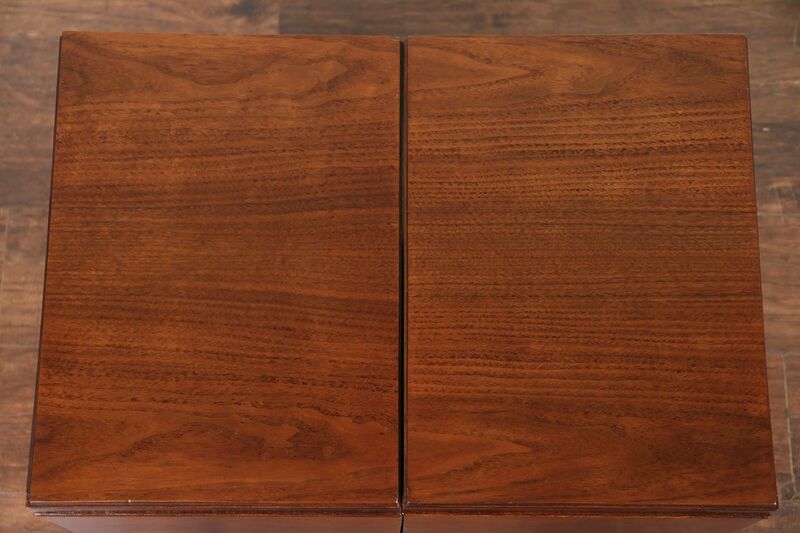 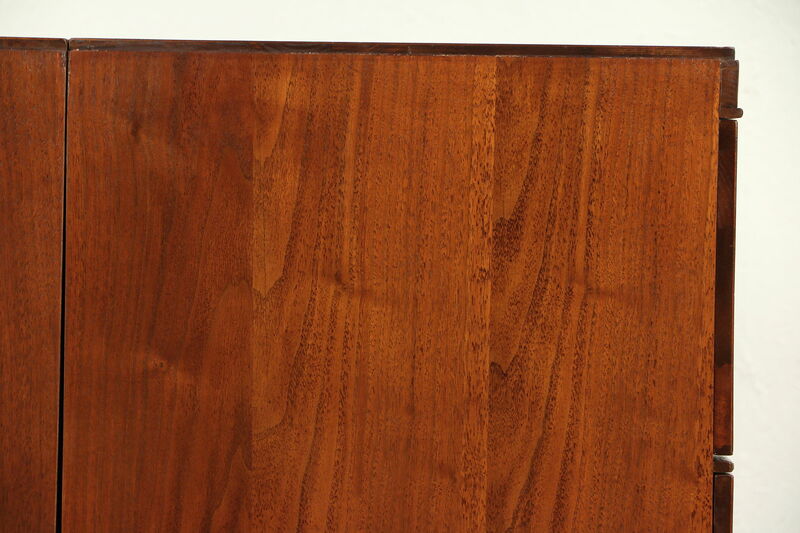 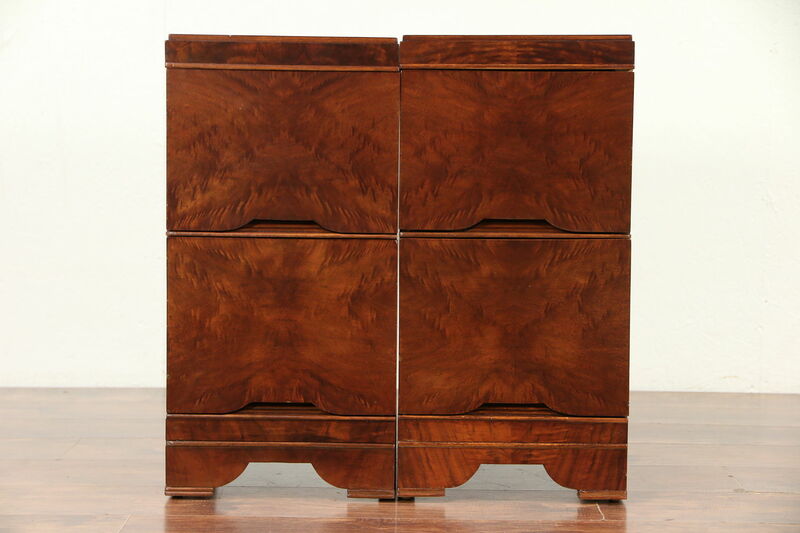 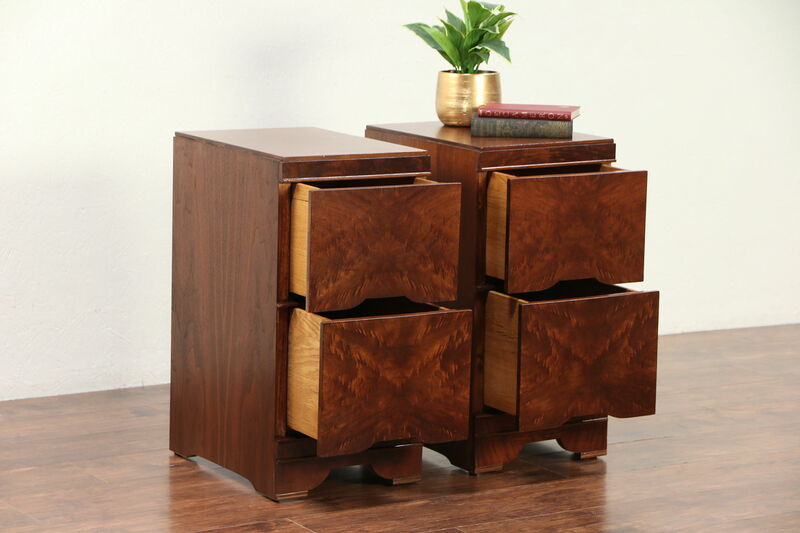 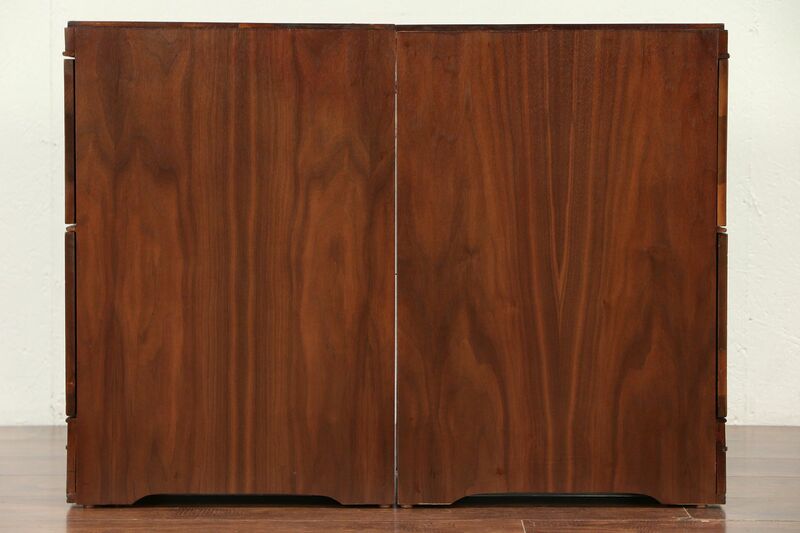 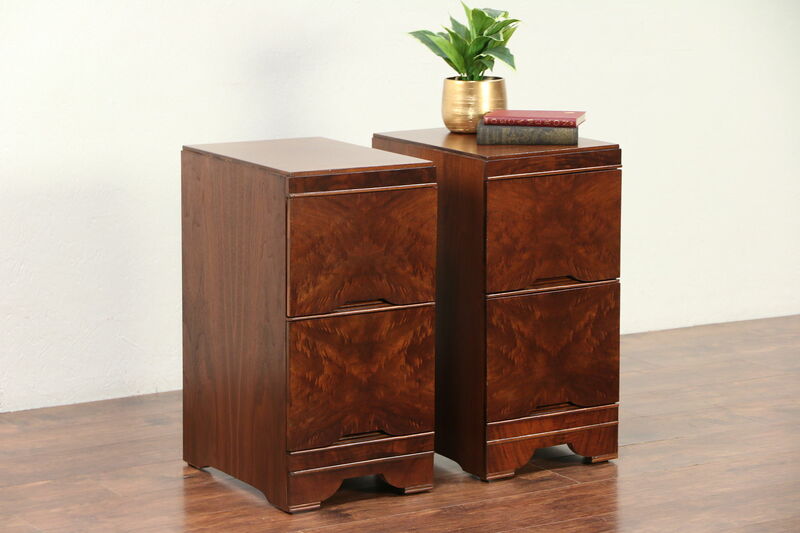 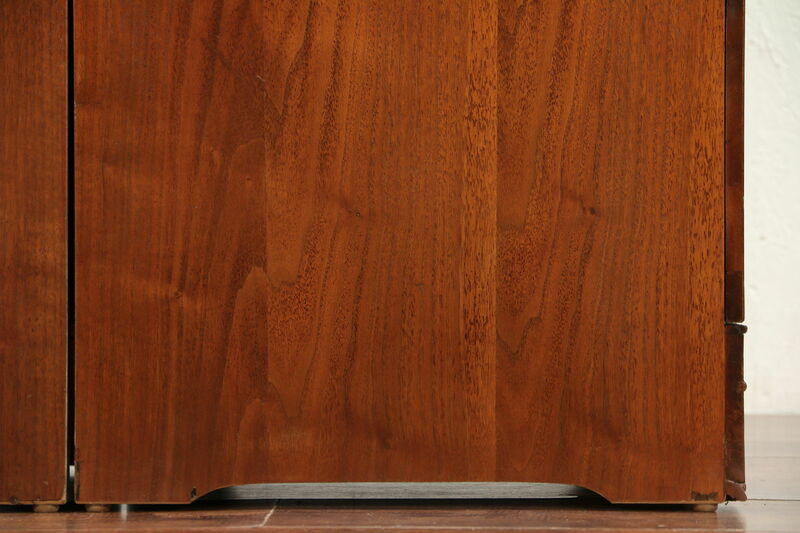 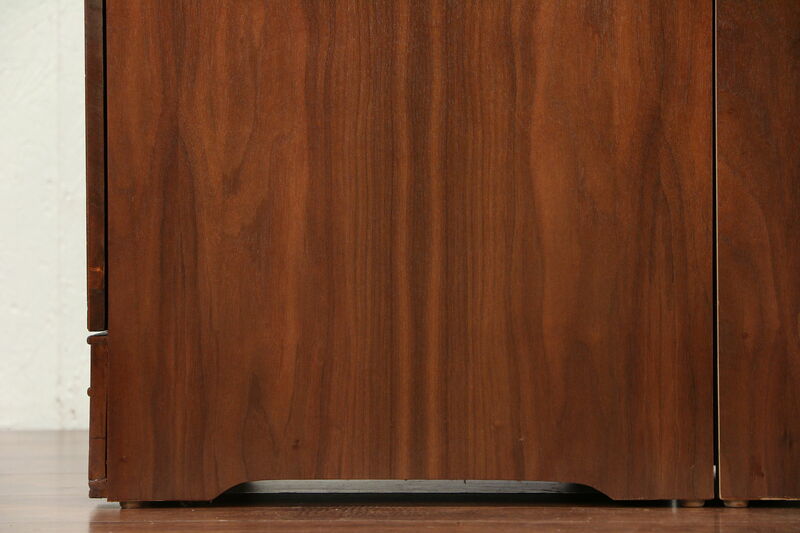 A pair of Midcentury Modern nightstands are walnut with matched burl drawer fronts, and date from around 1960. 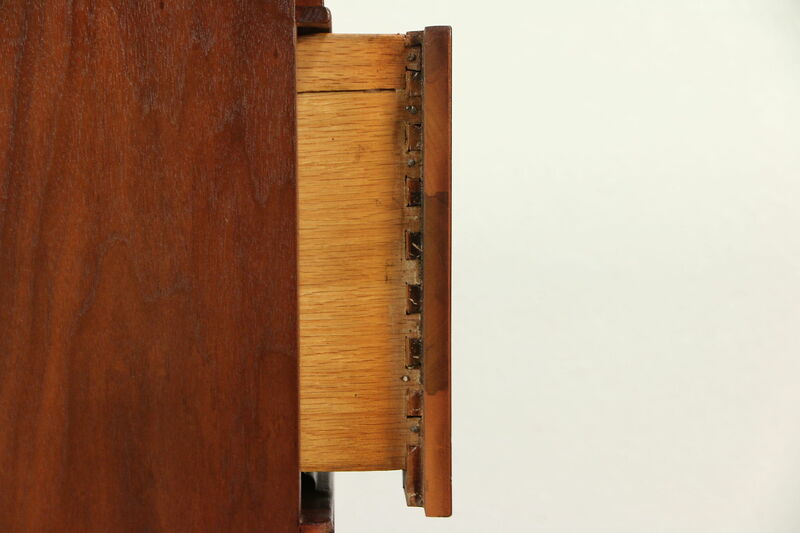 No maker's signature survives. 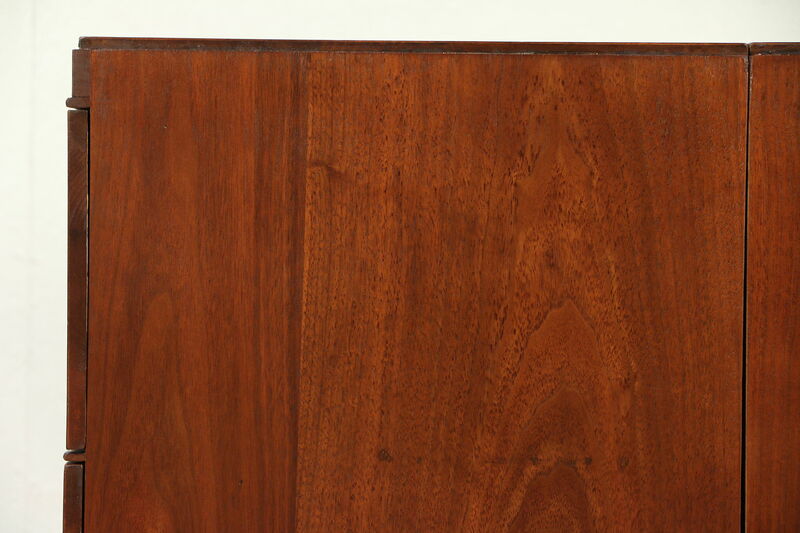 The restored finish is in excellent condition, preserving a few mars at the edges of this American made vintage furniture. 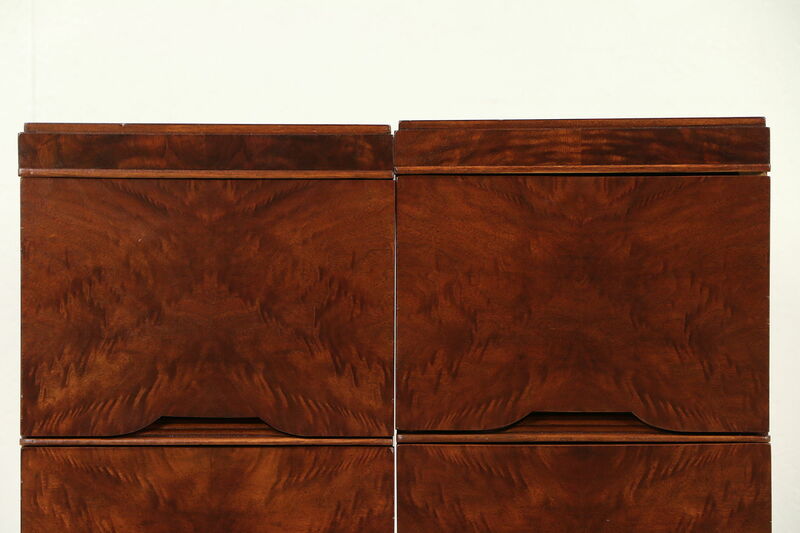 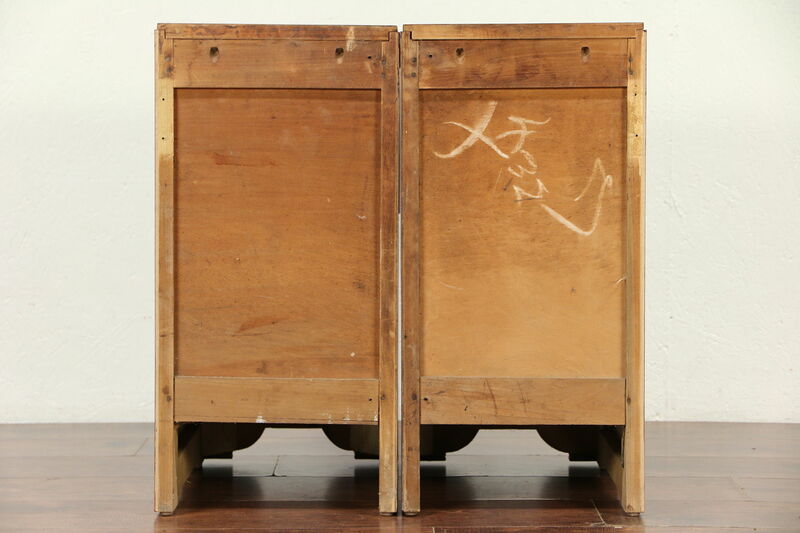 Drawers have solid oak sides with dovetail joints. 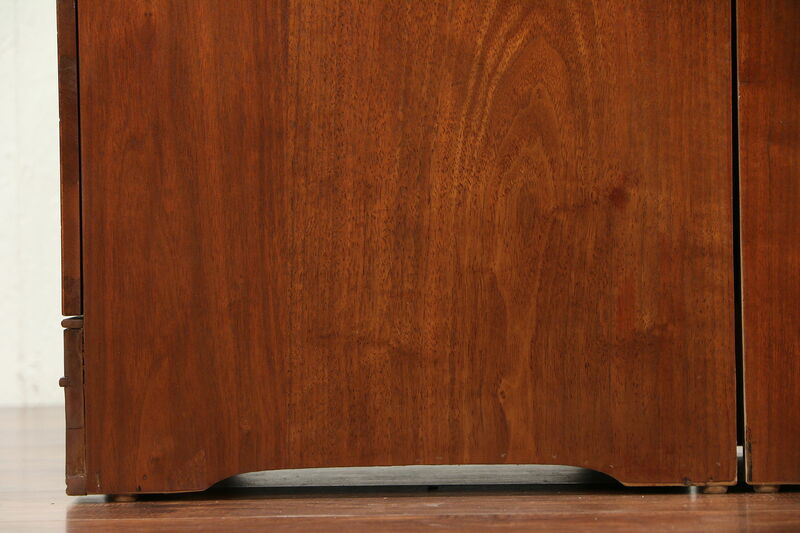 Measurements are 13" wide, 18" deep and 26 1/2" tall.